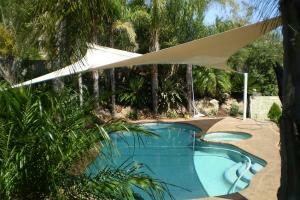 If you are looking for sun or rain protection for your outdoor area, a custom made Shade Sail is a great choice. 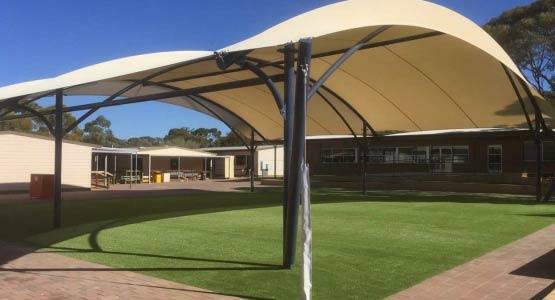 Shade Sails not only look stylish but they also offer functional weather protection, including a range of shadecloth and waterproof PVC fabrics to choose from. 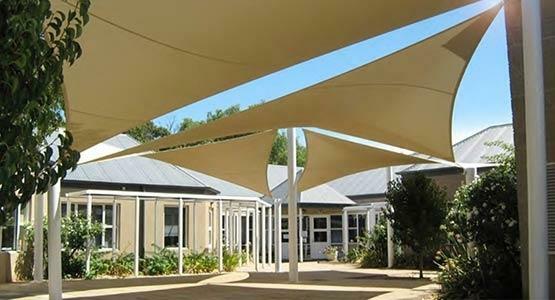 With a design flexibility that can span large distances and suit many different configurations, sail shading is a great way to enhance outdoor spaces in your home or commercial property. 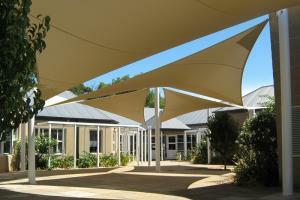 Shadeform’s sails are computer designed and hand crafted using high quality shadecloth, mesh or waterproof fabrics. 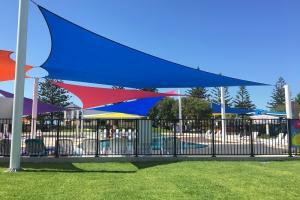 Individually swaged stainless steel wires are hemmed into the outside edge of the Shade Sail, a unique feature of Shadeform Sails. Including welded seams and reinforced corner patches, all these elements come together to form a continuous shape that is uniform across the whole textile. 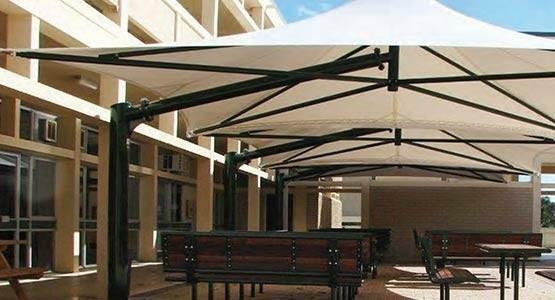 Measured and cut to precision, Sails made this way are guaranteed to have an aesthetical shape and a perfect fit. 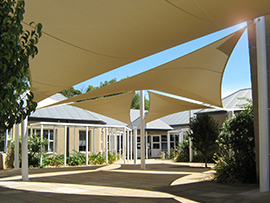 The final result is a single piece shadecloth that is robust and lasts a long time - or what we like to call a ‘Shadeform’. 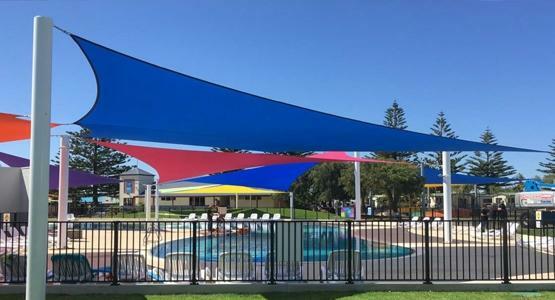 If you’re after an affordable all-weather canopy for your outside area, then a Waterproof Shade Sail is the perfect solution. Patio extensions and pergolas are often an afterthought and tacked on without much planning. 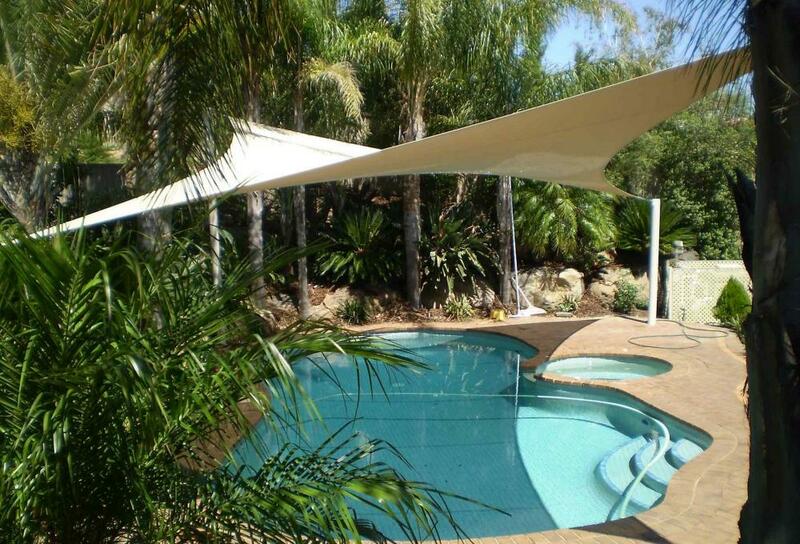 Instead, you can install an Architectural designed Shade Sail with an aesthetical shape, which is designed to fully integrate with the surrounding landscape. 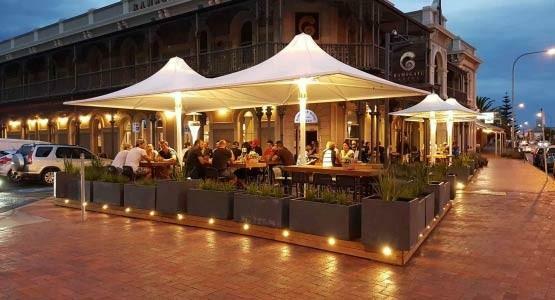 Create a wonderful feature that looks fantastic and belongs in your backyard or business outside area. 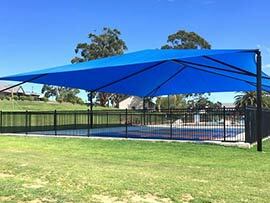 Enjoy 100% sun and rain protection, all year round. 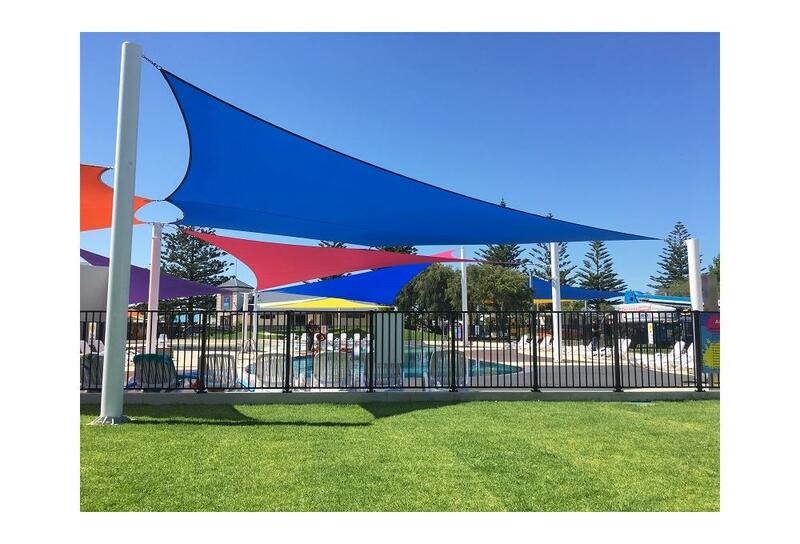 Extensive sailmaking experience over the last 30 years has positioned Shadeform perfectly for undertaking the design, manufacture, and installation of commercial shade sails. 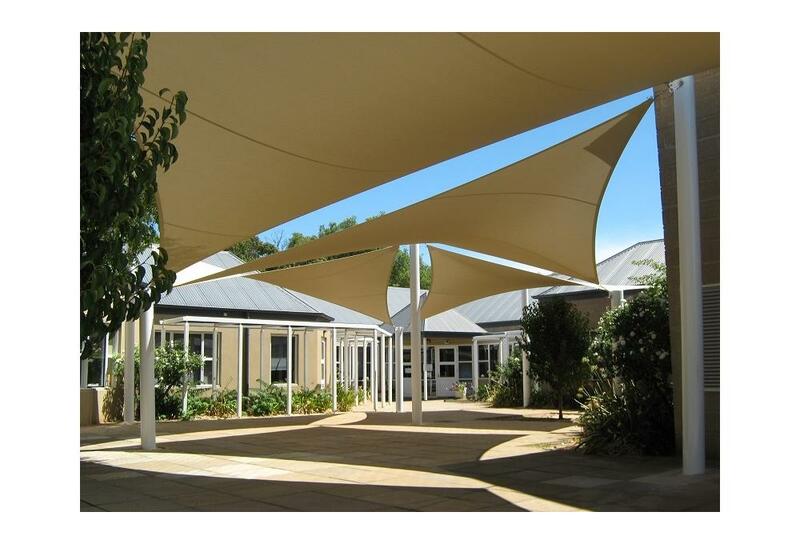 The team here at Shadeform has completed a huge number of installations of our flexible, freeform commercial sail shades, in a diverse range of locations. 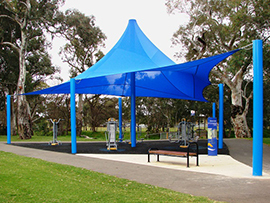 We have functional solutions for all applications, from outdoor eating & drinking establishments to shopping centres & auto dealers and parks & playgrounds. 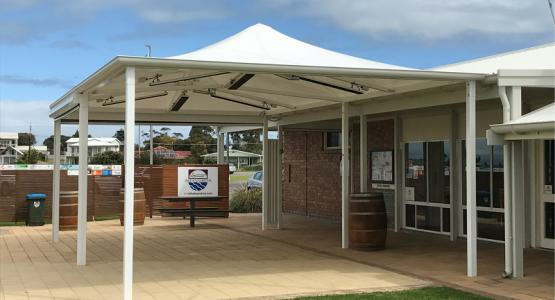 Manufactured using the best marine-grade stainless steel fittings and fixings, each sail is handmade right here in our workshop at Flinders Park, South Australia. 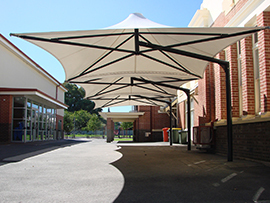 All our sails are made under the direct supervision of Wayne Soulsby, our resident textile expert and Shadeform’s establishing partner. 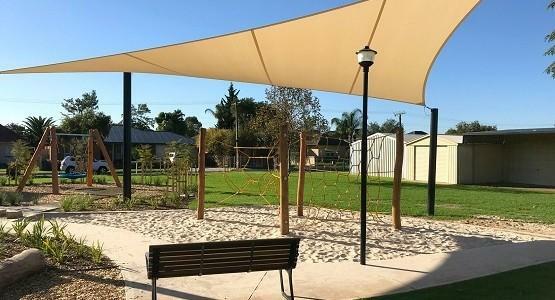 All fabric that is used at Shadeform has been specially selected after years of trial and error, featuring the best of strength, flexibility, and lifetime. 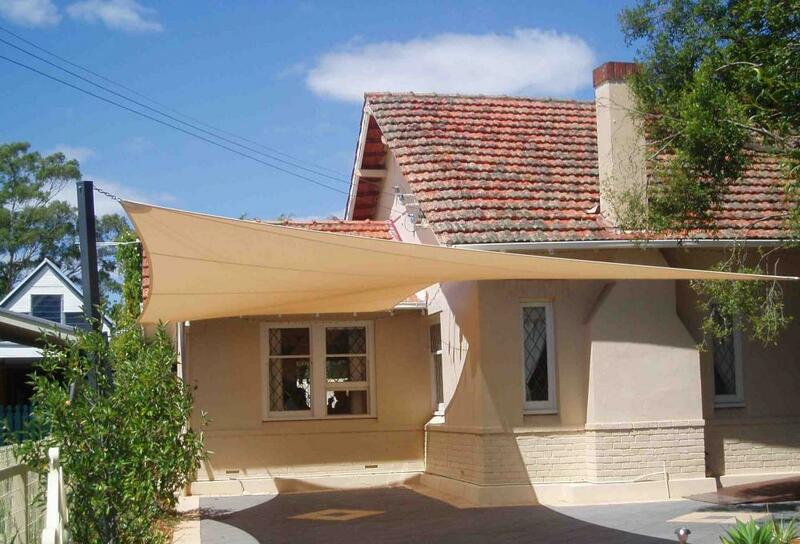 Each fabric is vetted by our lead sailmaker for quality and consistency, and come with a manufactures warranty of up to 15 years. 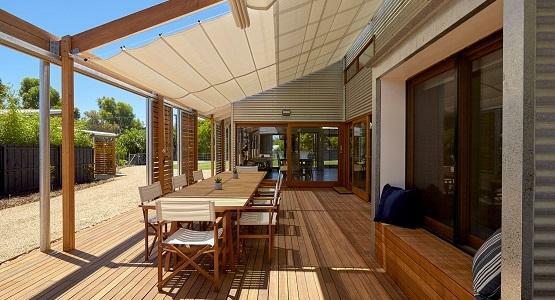 Our sail loft team here at Shadeform has over 30 years of sailmaking experience. 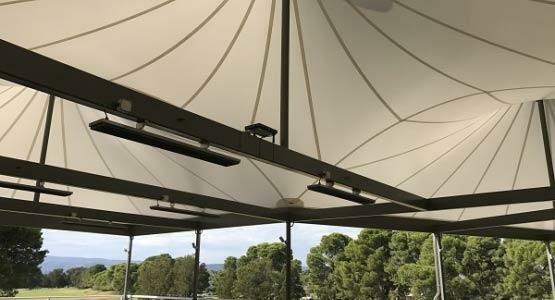 Coming from a yachting and tension rigging background, our understanding of large wind loads and subsequent custom fixing design, are important elements that go into creating the perfect shade. Thanks to the latest computer-aided production techniques, we can accurately cut a range of fabrics into virtually any shape you require. 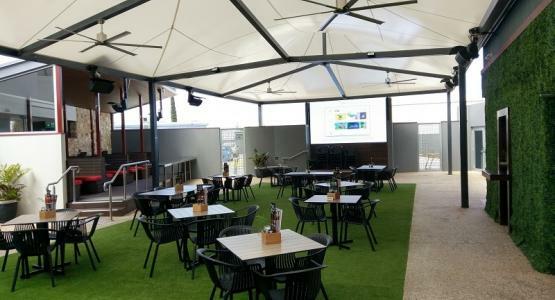 3D virtual presentation software allows us to calculate the best options for your specific situation in terms of sun, wind, rain, or just to achieve a stunning feature in your outdoor entertaining areas.